Maybe you live in Washington State and want to find out more about I-522. Maybe your state is thinking about GMO labeling. Or maybe you just want to know what the buzz is about. 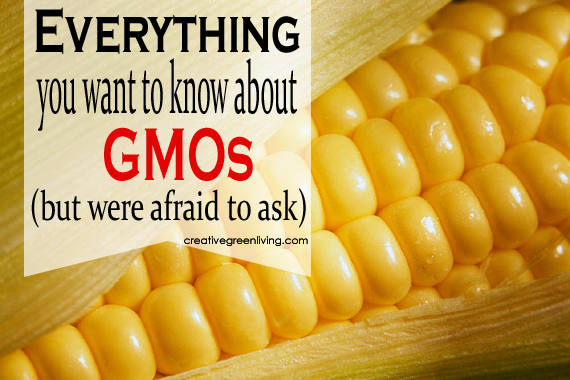 Consider this your crash course in GMOs and why you should care about them. 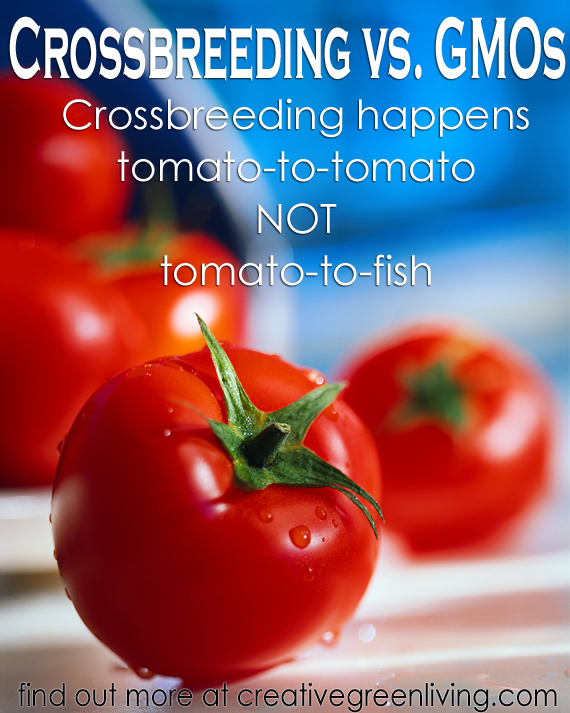 GE technology is fundamentally different than traditional cross breeding. In cross breeding, species that are the same or similar are selectively bred to bring about desirable traits. Cross breeding can happen with tomatoes to tomatoes but not tomatoes to fish. Overall it is a natural process but directed by humans. Genetic engineering, or "bio-technology" happens in a lab. A group of plant cells is cultured and then subjected to GE gene bombardment. The tissue grows and some cells take on the GE traits and others don't. To keep only the cells that have taken on the GE trait, the cells are treated with chemicals designed to kill off healthy cells and only the mutated cells are left. The primary reason plants are being genetically engineered is to withstand large applications of the herbicide, Round Up. Fields of Round-Up Ready Soy Beans can be doused with Round Up to kill all the weeds growing there but leave the soy beans standing. For farmers, it reduces the number of laborers needed and time taken for weed control. While growing crops this way increases profit to both the pesticide/seed companies (they are the same) and farmers, it turns out it's not so great for humans. Glyphosate, the active ingredient in Round Up has been linked to 20 different adverse health effects - most notably infertility, cancer and birth defects. 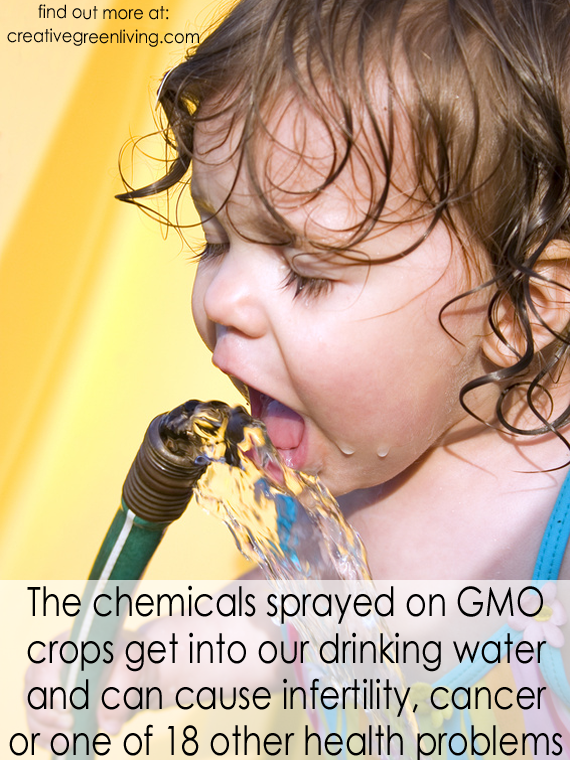 When farmers treat their fields with this chemical, they are not only coating the food you will then eat in this toxin, but the chemicals soak into the soil and end up in the water supply. Glyphosate is also pervasive. In a 2011 study, glyphosate was found in 60-100% of air and rainwater samples taken in Mississippi, Indiana and Iowa. US Food and Drug Administration. Statement of policy: Foods derived from new plant varieties. FDA Federal Register. 29 May 1992; 57(104): 229. The study had three groups of rats in addition to the control: rats fed GMOs, rats fed GMOs and given water with round up (in levels currently permitted in drinking water for humans), rats just given round up water but non-GMO food. The kind of GMO corn used was the kind grown in North American and what you would expect to have present in your breakfast cereal and taco shells. 50 percent of males and 70 percent of females died prematurely, compared with only 30 percent and 20 percent in the control group. 24 months into the study, 50-80% of the female rats had developed tumors, compared to only 30% of the control animals. The quantity of the GM feed or Round Up water given to the animals did not matter. 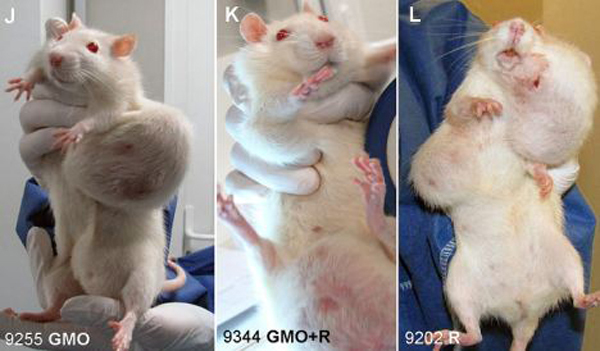 Rats given small doses of GM food responded just as horrifically as rats given large doses of GM food compared to the control group. That's scary. I don't want to eat that stuff. This is why the issue of labeling has become critical. Right now, there is no labeling requirement to tell you if the food you are buying contains GMOs. They are present in about 80% of processed or pre-packaged foods sold in the United States. Fresh produce such as papayas, zucchini, yellow squash and corn are also currently sold in the fresh produce section of some stores. Genetically modified fish will be landing on supermarket shelves soon (pending FDA approval). All without a label. But you can do something about that. If you are a Washington state resident, you will be voting on I-522 in the fall of 2013. Oregon residents are collecting signatures to get an initiative on the ballot in 2014. As of today, almost half of the states in the USA have introduced GMO labeling initiatives. See what's going on in your state by visiting this page from The Center for Food Safety. Contact your local representatives and ask them to support mandatory labeling of GMOs. There is also action happening on the federal level to introduce country-wide labeling. Find out more from Just Label It! and PLEASE,by all means, please contact your senators and congresspeople and ask them to support it. It's as easy as sending an email. 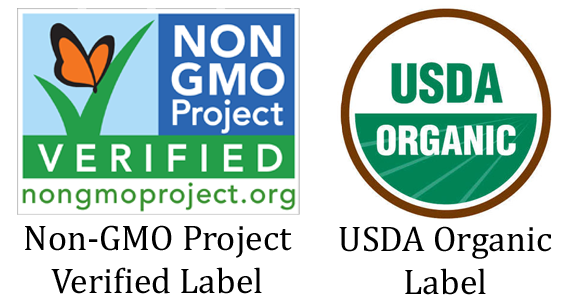 While we are waiting for labeling initiatives to get voted into law, what you CAN do to avoid GMOs is choose organic or Non-GMO Project verified products. This, admittedly, can be more expensive than conventional, genetically modified food and may cause your food budget to expand. See my tips for how to save money on organic food to make it a little easier. But let's be honest. Not everyone knows how to save money on organic food and in many areas, organic and non-GMO foods are luxury items. This should not be. Every family should have the option of choosing GMO-free foods without having the pay the premium price of the organic label. This is why supporting labeling initiatives is essential. Thanks for the info. How do I find out more? 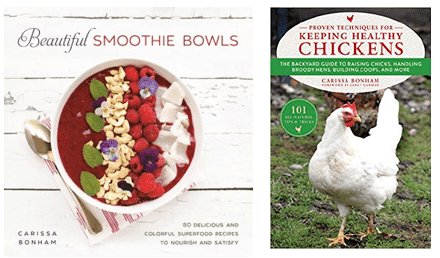 GMO MYTHS AND TRUTHS, An evidence-based examination of the claims made for the safety and efficacy of genetically modified crops. By Michael Antoniou, Claire Robinson, John Fagan. June 2012. Doctors Warn: Avoid Genetically Modified Food on Institute for Responsible Technology website. Food Allergies Increased Due to Chemicals in Food: Robyn O’Brien interview and video on Green Sisterhood. 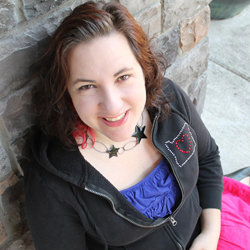 GMOs: One More Reason to Eat Probiotic Foods on Learning and Yearning (Blog). The Problem With Genetically Engineered Food at Almost All the Truth (Blog). 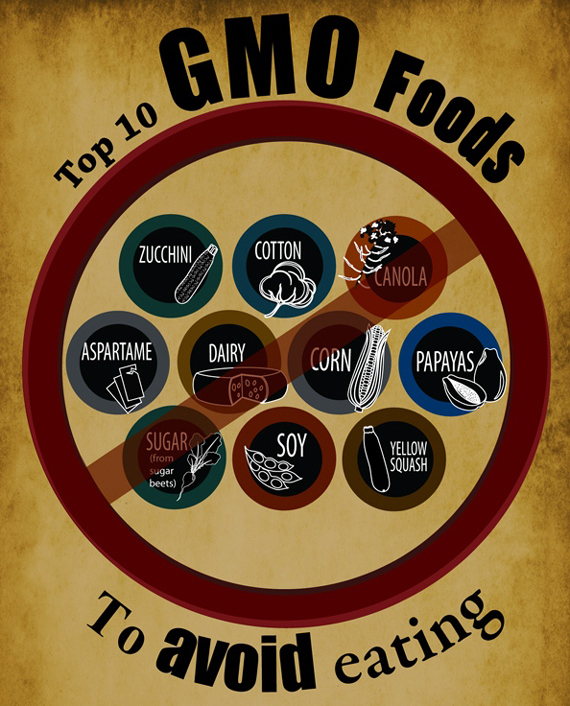 8 Reasons GMOs are Bad for You from Organic Authority. Do you have specific questions about GMO food or labeling? Please leave them in the comments! I promise to answer. If you are interested in supporting GMO labeling initiatives, Creative Green Living is partnering with Yes on 522 to go toe-to-toe with Monsanto and other large bio-tech bullies. Your donation of $3 or more makes a huge difference! Join me here. Carissa used to think that organic food was only for elitist hippies. 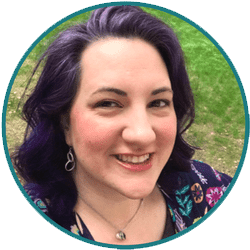 After the birth of her son in 2010, their pediatrician educated her family on how to increase health by reducing toxin exposure. Researchers by trade, she and her husband dug into the issue and came out convinced that GMO foods were at least partly to blame for widespread American health issues including conditions like autism, infertility, food allergies and cancer. They are passionate advocates of GMO labeling and want to teach families how to avoid GMOs as part of living healthier lives. I love the article. It spells it out in plan English about why GMO are dangerous. Just think, the food can't be killed by Round-up. That basically says it all. Even alfalfa which is feed for animals was approved a couple of years ago to be GMO. This is really good info! Thank you for spelling it out for me and my peeps. Excellent post! Clear explanation what GMO is but also how to avoid it. I hate rats but this photo makes me want to throw up. Imagine what GMO foods can do to me even though it looks pretty? Gross. Not going 'there'.